We trade extensive list o f products. 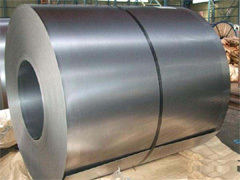 With years of experience and wide knowledge, we offer a wide range of CRC sheets and galvanized sheets to our clients. These sheets can be custom made in various sizes. Widely known for superior finish and durability, these are available at competitive prices. We also offer a premium range of CRC/ HR Sheets. These are extensively used for industries such as manufacturing vehicles, packing vessels and manufacturing container, also for products such as electronic machines, architectural windows and doors and hardware products. We also offer these as per our clients' requirements & specifications.